The impending Winter Olympiad that's set to take place in Vancouver in a few weeks has brought some interesting things to a head. The start of the Games' coverage has been the predetermined date that NBC has determined that it will put an unfunny man back into his old seat behind a late night desk. 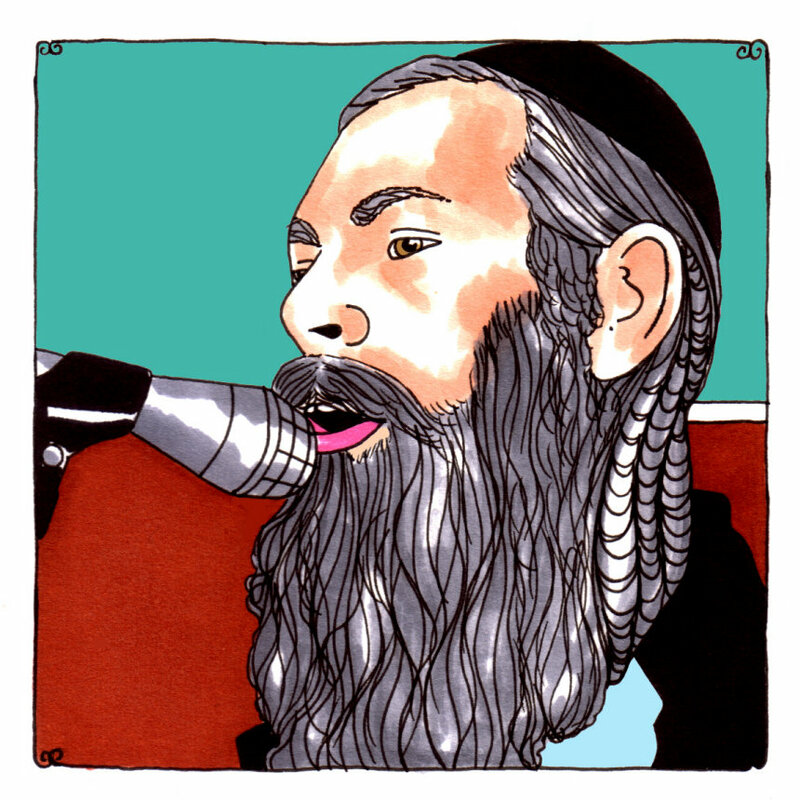 It's also brought an appropriate amount of attention to a song that Matisyahu, an American Hasidic Jewish reggae superstar, performed recently on the Late Show with David Letterman, beneath a disco ball dreidel shooting glassy lasers of light around in a colored spree. "One Day" is a tune that starts in a place of disenchantment, in a swirl of negativity and with a man praying - however he wants to pray, to whomever he wants to pray to - asking for the time to come for sunnier days. It's a strangely U2-like ballad, with Edge-y guitar flutterings and spurts, little trails of echo chambered notes bouncing around in a small room, with a high ceiling, that clings to you like a hug from a little child that really doesn't want you to go anywhere or one who's missed you so, so much. It's a song that begs the question, "Why is there a need to wonder when people will wise up, change their ways and just stop being cruel beings?" It brings to mind Sam Cooke's "A Change Is Going To Come," and it feels as if parts of the future positivity that's hoped for in the song is attainable now even if it's just in the form of unbridled optimism. It's a plea from a peaceful man, from a guy who can't stomach the kinds of hurtful things that are done to so many so often and his newest album, "Light," digs deeply into this idea of salvation getting here by hook or by crook. It must be. Matisyahu, born Matthew Paul Miller in West Chester, Pennsylvania, is an intriguing person in his scope, in his ability to strive so fervently and faithfully for the kind of peace and understanding for all that to a skeptic seems like the greatest impossibility known to mankind. There is all kinds of brutal and bloody history to support the skeptics, to suggest that despite universal harmony being a wanted and valued existence, people have shown for centuries and centuries that too much keeps them from embracing in honest and true brotherhood. There are knives in backs that cannot be removed and wounds - old, old wounds inflicted by and upon our ancestor's ancestors - that so many refuse to push aside in an attempt to begin anew. Too many houses and too many churches have been burnt down to the ground in bitter, fiery-eyed hatred, too many Gods have been accused of being the wrong gods and too many people feel that reconciliation is not the way that they'll ever look. All of the fear-based hatred and warring that's being condemned on this gorgeous record is not going away easily and it's the thought that adds that extra feeling on these songs, making them sound as if they are being sung with hearty conviction, but sung as well with wet, tear-striped cheeks, red and swelling eyes and a head that can't help but either shake in disbelief or turn away, wince and recoil at the sights and just how little praying for peace tends to do. It's a wish and a dream for so many and it must be the biggest test of any of ours faiths, no matter how strong or how lukewarm they are. Matisyahu gives us these reminders that there should be and there once was goodness in every human - but for some, it was destroyed or dented along the way and regaining it in its full innocence and at its full strength has become less of a priority. All of "Light," and "One Day," in particular, seem to suggest that goodness remains here for the touching, here for the holding if we want it.